Andrew is an easily recognised industry leader with over 30 years experience in facilities management and corporate real estate. He has led a number of exceptional FM teams for companies including Mitie, Cushman & Wakefield, Mace Macro and CBRE. In 2017 Andrew was named as the BIFM Leader of The Year. 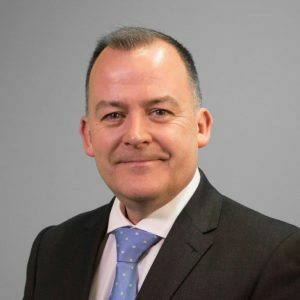 As a business leader and agent for change Andrew has developed and deployed complex facilities management solutions within the UK, across EMEA and Globally. In his various leadership roles he has built and mentored professional teams, grown business opportunity and delivered service improvement programmes and deep savings initiatives for a range of corporate and public sector clients. With Mace Macro Andrew led a team of FM consultants and advised on a number of prestigious projects including both the London 2012 Olympics and the London Cable Car. Andrew is also recognised as an expert in multi-country FM solutions having been designing and delivering integrated cross-border solutions since 2004. Andrew is passionate about the continued development of the FM industry particularly the convergence with workplace activity and the dramatic impact of technology.